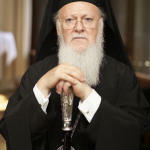 The Ecumenical Patriarchate is a see of the Orthodox Christian Church throughout the world. It is an institution with a history spanning seventeen centuries, during which it retained its see in Constantinople (present-day Istanbul). The Patriarchate acts as a center of witness for the Orthodox faith. Read more about him HERE. 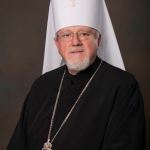 Metropolitan Anthony is the leader and prime hierarch of the Ukrainian Orthodox Church in the United States of America (UOC-USA), under the jurisdiction of the Ecumenical Patriarchate of Constantinople. 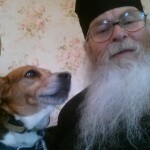 He is also the Locum Tenens of the Ukrainian Orthodox Bishops outside the borders of Ukraine and the ruling hierarch of the Eastern Diocese of the UOC-USA. Read more about him HERE. 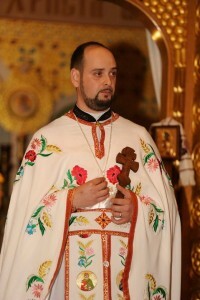 Father Borislav Kroner was born in Zytomyr, central Ukraine in 1976. 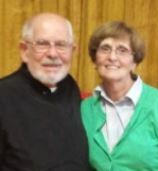 He served as a subdeacon and deacon at St. Andrew’s parish in Boston, MA and as priest for five years at St. Luke’s in Warners, NY. Read more about him by clicking HERE. Archdeacon Vasyl originally comes from Wilkes-Barre, PA. He was formerly a Roman Catholic, and a member of the Franciscan Order. His family background is Polish on his father’s side and Ukrainian on his mother’s side. While studying for the priesthood in Boston, he left the Franciscans and converted to the Orthodox Church. You can read more about him by clicking HERE. 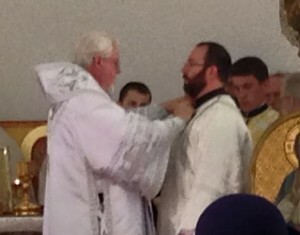 Deacon Paul was ordained to the deacon ate by His Eminence Metropolitan Antony in December of 2013 after completing three years of coursework at the St. Stephen’s House of Studies. In his final year, he chose to make ministry to the parish elderly his independent project and felt a calling to that ministry. You can read more about him by clicking HERE. 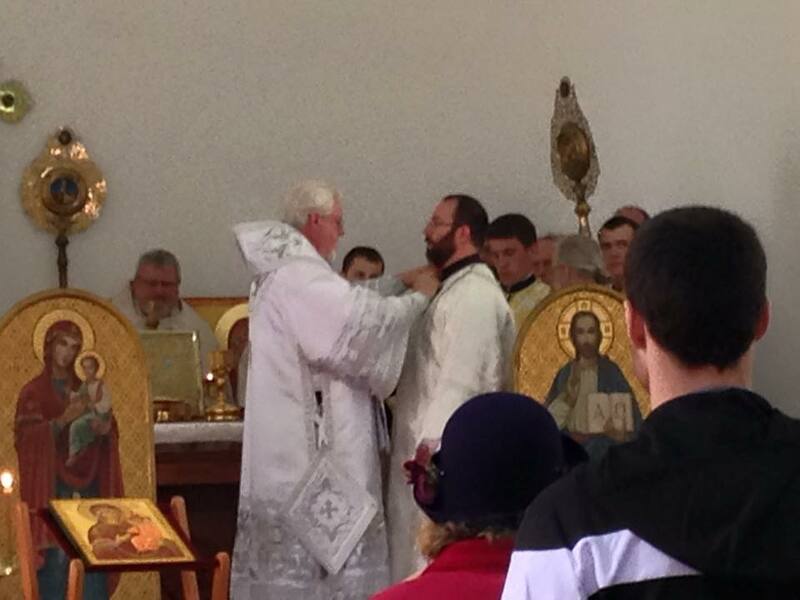 Deacon Michael was ordained on April 25, 2015 after completing the St. Stephen’s House of Studies. 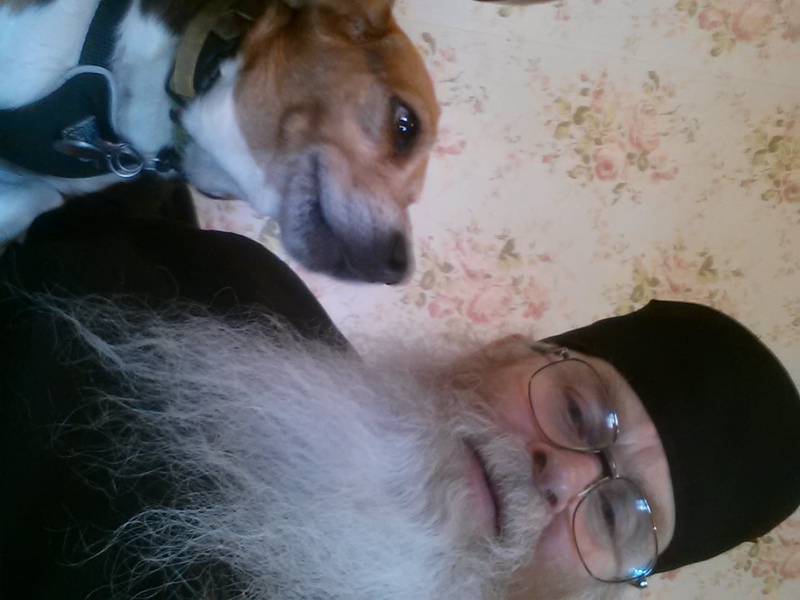 He is currently enrolled in the Priestly Formation program at St. Sophia Seminary. In the tradition of the Ukrainian Orthodox Church, our parish is conciliar (cоборноправнa/sobornopravna), with the priest, clergy, and laity working together in both ministry and administration. In cooperation with their priest, all of our members (and especially our lay leaders) are called to discern and exercise their vocation in service of God and neighbor. As such, our parish board meetings and parish meetings are positive and uplifting, focused on how we can best do God’s will in and through the parish of St. Michael’s. Each lay board member is elected for a one-year term, although it is common for members to stay on longer.